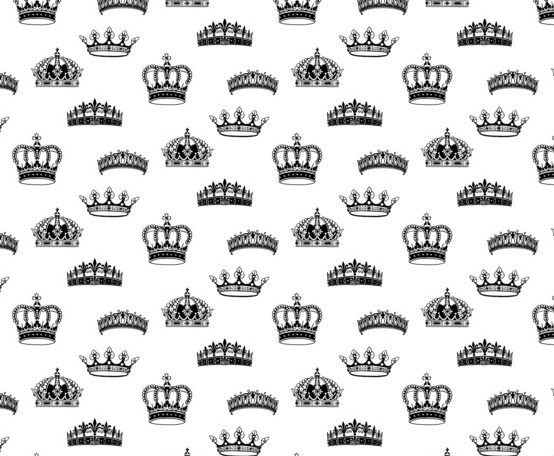 Wallpaper – yes or no? I’ve been doing a lot of sourcing for wallpaper lately and I’d say it’s definitely back with a bang! And if you are cringing now and seeing visions of your grandmother’s house with it’s faded chintz floral paper in pinks and yellows or yikes..the dreaded fruit bowl wallpaper border, think again, just like us,wallpaper has evolved. It can be serene, sophisticated, dramatic, wild or even whimsical. The pattern and palette you choose will make a statement and convey the feel of the room immediately. It has a ton of impact and in today’s interiors with solid upholstered pieces, it will give you that hit of pattern and texture. And not to fear, today’s papers are easier to install, though a professional will always make this painless and perfect, without the need for a marriage counsellor. When and if you grown tired of it, they are easily strippable, leaving you a fresh wall to begin again. These are calm and somewhat traditional but with a helping of modern due to the colour palette and the large scale patterns. 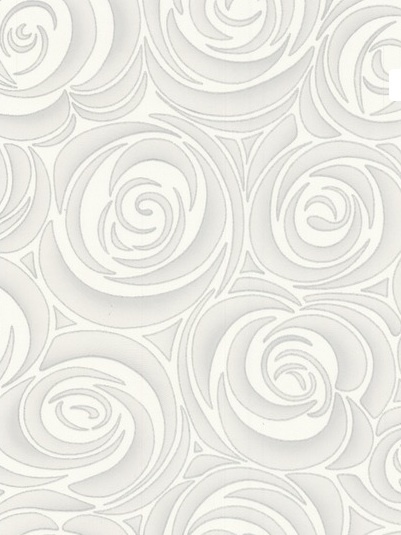 I’m loving this large scale slightly abstract rose pattern in a soft and serene palette. Perfect for a feminine bedroom. This one makes me smile, it’s a great little hit of whimsey for the Brit in your life or the Brit you’d like to have in your life. I can picture this one in a classical white powder room with Blanco Carrera marble and white wainscotting on the bottom half of the wall. 5. behind the tv wall in the family room or living room, so that the tv does not jump off the wall. One of my clients is getting this one installed as we speak. Can’t wait to see it IRL. For the purple lovers in your life, most papers come in a few different colour waves. 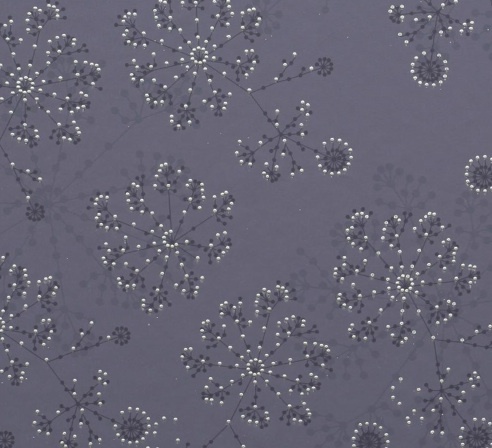 From Bouclair – Did you know they recently started carrying wallpaper? With a great price point! Large scale graphic modern, fresh and lively, love it! Same wall with a change of wallpaper and console style and accessories, evokes a totally different feeling. 1. Think of the feeling you want to convey in the room. 2. Bring home the wallpaper book or order samples to look at in your own home, pattern scale can appear larger or smaller online and as we all know, colour can vary from screen to real life. 3. If you are doing a focal wall, take the paint colour for the remaining walls from the colours in the paper so that the room will feels quite seamless and not like you ran out of paper. 4. If there is no logical way to stop a wallpaper try framing out a large piece of it with mouldings. It will act like a large piece of art. 5. 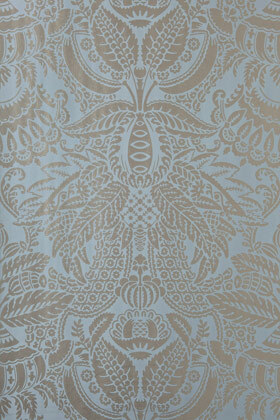 Try and see the paper on the wall, either in a photo online or in the wallpaper sample book. 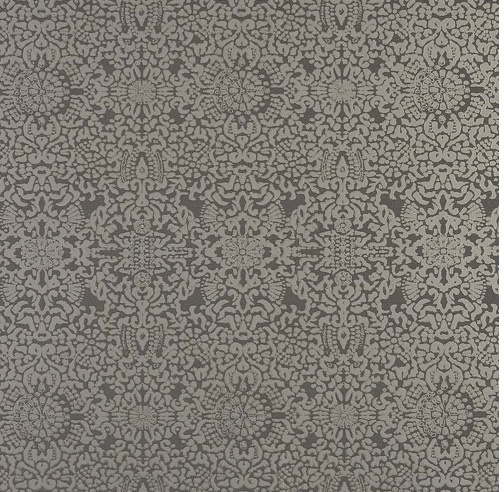 This is especially important if the paper has a large pattern repeat (like in fabric) as usually you can only see part of the entire pattern, it really helps to see it “in a room or on a wall”. 6. 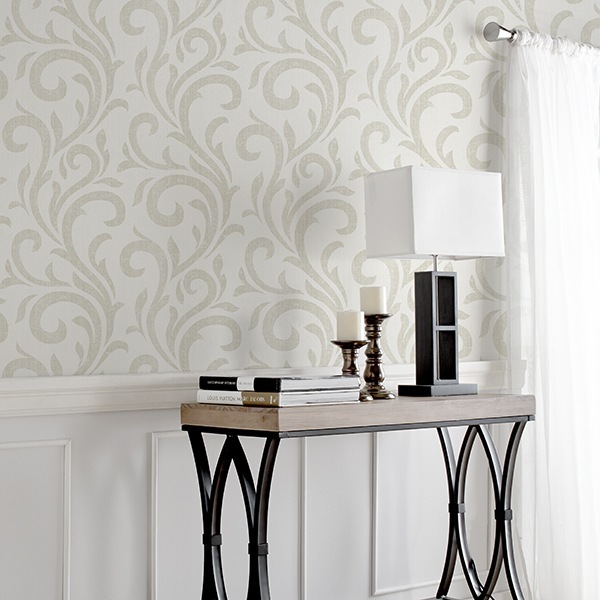 If you are putting paper up on a previously painted wall, keep in mind that it is best to paint the wall the background of the wallpaper before you put the paper up. This eliminates any possible colour bleed through of the wall colour as some papers are quite sheer. This will also be a godsend if your seams shrink a little through the years, since the wall colour will match and your seams will still be invisible. P.S. 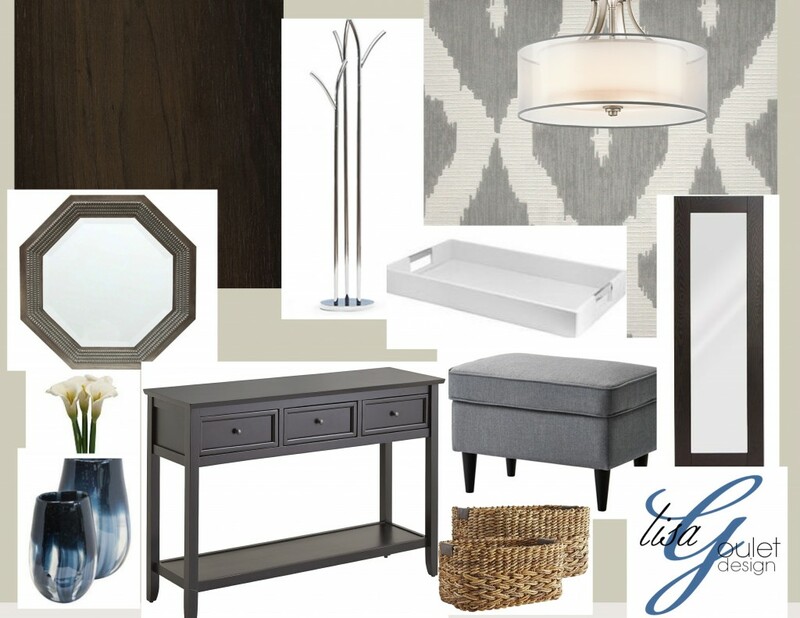 Maureen did a great post on choosing paint colours on the TBB blog. Click here to read. And a little hint that I’m having a wonderful giveaway, which will be announced at the end of the week! Come back on Friday to find out what it is! Okay, I won’t keep you in suspense any longer. This is the latest in my posts about the little treasures my cottage revealed. As I mentioned before, when we purchased our cottage six years ago it came with some furnishings and a completely packed bunkie! After many trailer loads to the dump there were a few things that I’ve kept because I thought they were interesting and that they may have some value. 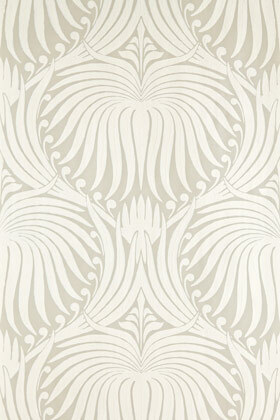 A wallpaper sample book from Empire Wallpapers Limited (a Sunworthy company) called Studio Masterpieces. As you can see the cover has some mildew damage as it has been stored in that unheated bunkie for who knows how long. And I have to admit it is a little smelly. There have been a few protests about it’s odour since I brought it home…. The previous owner’s used the book as a place to press leaves and flowers and there were tons of them still in the book when I found it. Luckily that didn’t seem to do much damage to the pages inside. As there was no date anywhere on the book I did some digging and found out that this book is from the 1940’s (twenty years older than what I originally thought). This one is called Dinner Date here’s the description of it that they included below. And some leaves in different colourwaves….. This one is called the Canadian Sportsman – the description follows below. This one is called Pillement Chinese. This one is called Williamsburg. There’s even some ones called Moderne. This whimsical one is called Old MacDonald. And this one – Scarlet Pimpernel – of course! These wallpaper samples are all painted and I was thinking of framing some of the images or perhaps framing them inside wall mouldings as a feature. Though, I have to admit I feel a little apprehensive about actually cutting them out of the book. I hope you are all enjoying your summer I certainly have been and I’ll be taking some time off so this will be my last post for a little while. Have a great weekend! Cheers!